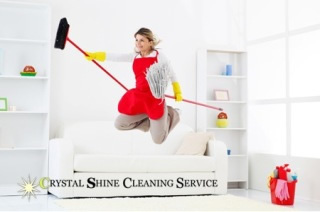 Bringing a diamond edge to domestic tasks, the Crystal Shine Cleaning crew done its marigolds for a pristine array of cleaning services conducted across Nottingham: Aspley, Beeston, Bilborough, Bullwell, Chilwell, Hucknall, Long Eaton, Sherwood, Stapleford, West Bridgford, Wollaton to name a few and various other surrounding areas in Nottinghamshire. We will unload their own top-drawer materials to add extra sparkle and tackle vacuuming and mopping, as well as grubby windows, kitchen surfaces, and dusty skirting boards. G: What do we offer? The team performs a range of domestic and commercial cleaning packages, including end of tenancy and office cleans, as well as tidying up after builders. G: Do we carry out any specialist services? Carpet cleaning is available, and includes hot steam extraction, onsite dry cleaning, and full stain protection. Scotch guard can also be applied. G: How do we maintain quality service? A huge effort is put into the screening process to ensure that only high quality staff members are accepted. G: How are their cleaning staff selected? All cleaning work is inspected upon completion by a team supervisor, who will ensure all work is done to a high standard. Validity: Offer ending 30 December 2015. Valid in postcode areas in Nottingham. Not valid for builders', contract, commercial, or end of tenancy cleans. Additional cleaning available for a £10.50 supplement per hour. Oven cleaning available for a £25.00 supplement.